Thursday I’m pulling my suit jacket out of the closet, shining my shoes and heading down to DC. I’ll be joining a small band of health leaders attending Secretary Sebelius’ annual LGBT listening session. This is where we get to sound off on what we think would be good for the Department of Health and Human Services (HHS) to accomplish in LGBTQI health in the coming year. We can’t all go down to talk to HHS, but let me represent you, tell me in the comments below what matters to you in LGBTQI health. This year, like the last three, Secretary Sebelius’ LGBT Issues Coordinating Committee will take our input and create an action plan for improvement. There are two reasons the federal government’s actions to eliminate LGBTQI health disparities are especially important. First, the government is the single largest purchaser of health care and health research in the United States. Second, being the federal government, they have more influence than any other body on what policies the rest of the healthcare system adopts. In other words, the federal government is the most popular kid in the school of health; if they do it, others will too. It’s pretty fascinating how these high-level policy decisions affect people’s everyday lives. When HHS’s Administration on Children and Families undertakes a systematic review of practices to improve the well-being of LGBTQ youth, they then get the chance to include those best practices in $23 billion dollars of grants which are disseminated to local programs. These are the programs LGBTQI youth encounter every day. That’s the scale and potential impact we’re talking about here. Sebelius’ 2013 LGBT action plan objectives included measures aimed at increasing outreach and enrollment under the first ever open enrollment period for health insurance exchanges; improvements in research and data collection; and advancements for youth through two different major HHS agencies. How did they do in meeting these goals last year? Honestly, even as someone who follows the federal progress on LGBT health pretty closely, it is pretty hard to know. I’ll have to wait til the meeting next week to hear how they did on these objectives. Regardless of how satisfied Sebelius is, we need to keep pushing for the things that matter to us. I really want to hear your ideas. Let me start you off by throwing some out. First, commit to collecting data on transgender people. No one in the federal government has been able to tell me if HHS’ current plan of asking states to collect trans data has resulted in any new trans data collection. Meanwhile 2014 will provide us the largest new LGB data wave ever, as we see the results of our pressure to add data collection to their most influential survey, the National Health Interview Survey. Apparently our message of “Please collect LGBT data” was only partially heard. Second, designate LGBTQI populations as a legally defined disparity population. One institute in the National Institutes of Health has the legal authority to expand this definition to include LGBTQI people. Once it does, the effects are felt all across HHS. Suddenly we’d be named in innumerable funding announcements as a population it’s important to address. Considering most funding announcements have a long history of being loudly silent about whether reviewers would even tolerate inclusion of LGBTQI tailored responses… getting named in those announcements as an important population would create a huge wave of change. Third, it’s time to focus on building LGBTQI leadership in HHS. I suspect most of us have seen this play out in our lives; our own communities’ leadership is the largest driver of community advancements of any type. Obama and Sebelius’ are to be commended for their early decisions to appoint several openly LGB leaders of HHS agencies. Now it’s time to ensure every agency has high ranking LGB and as well as TQI leaders in place. There’s still decidedly chilly pockets at HHS for LGBT employees, and it’s time to build the leadership, acceptance, and talent pool so those employees can start creating change we can’t even dream of right now. Those are a few things I personally think are important, but I’m just one trans guy and health affects every single one of us. 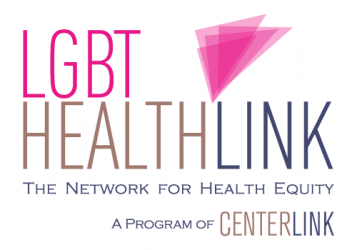 CenterLink‘s Network for LGBT Health Equity is all about accessing the power of the broader LGBTQI communities. So what do you want them to do in the coming year? What’s the biggest thing blocking your own journey to being a healthier LGBTQI person? Speak up, sound off, I’ll print out the comments, tuck them in my backpack, and deliver them in person. 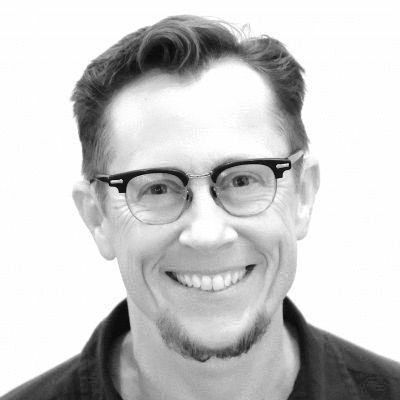 Previous Post National LGBT Cancer Network: Introducing Michael G. Bare, a one-of-a-kind Summit, and upcoming Collaborations. I just read your post on Huffington. I am a transwoman working for the NMFS in Seattle Washington. I have been in transition for a bit more than a year, and will be coming out at work once my electrolysis is a bit further along. This being the case I have a huge stake in the granting of full medical rights to trans people. This year coverage was extended under my health insurance carrier (GEHA) to include HRT, but surgery remains excluded. In my case, I can finance the necessary medical procedures, but there are so very many for whom that is not possible, and even in my case the costs will impact my family for years. This is a necessary and medically indicated treatment of a potentially life threatening condition! Both my councilor, and primary care physician can and would so testify. That we are excluded as a class is both sad and wrong. If I can help in any way I can be contacted at julieblair60@yahoo.com.